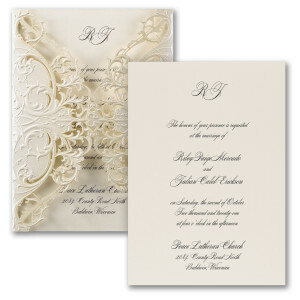 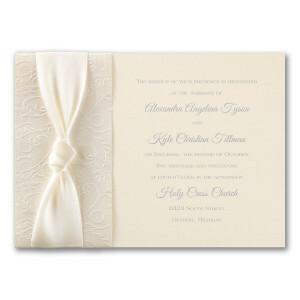 Carta Bella offers an endless variety of invitations – There are so many styles to choose from! 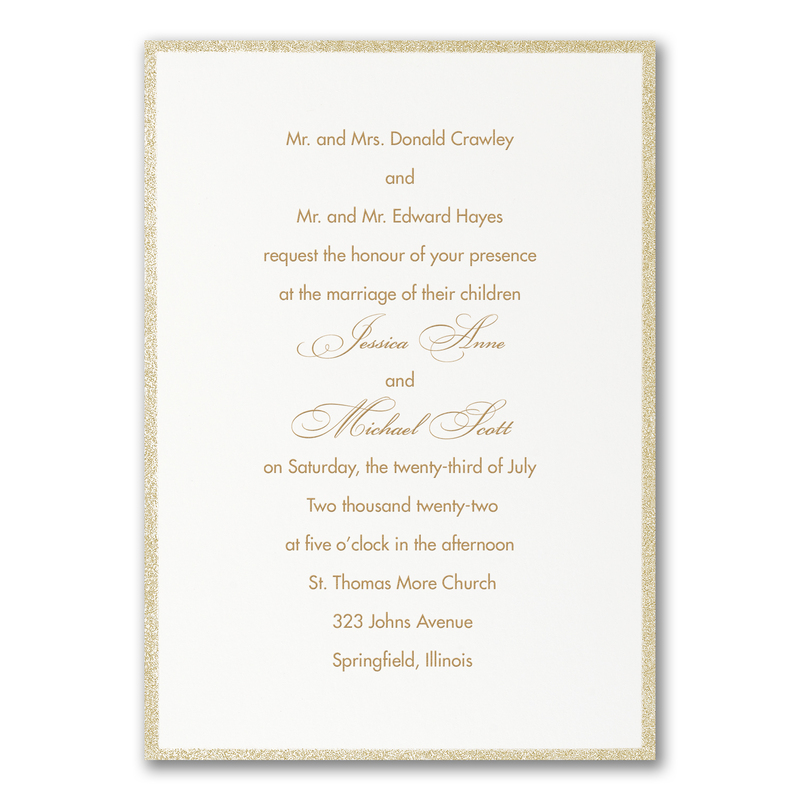 Invitation Pricing is based on 100 invitations only. 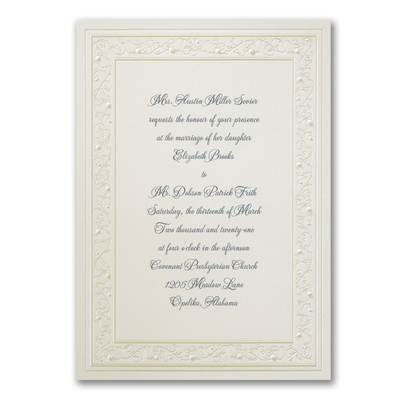 Please contact us for full quotes. 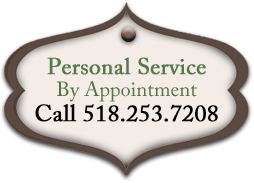 Here are just a few – please contact us for more information! 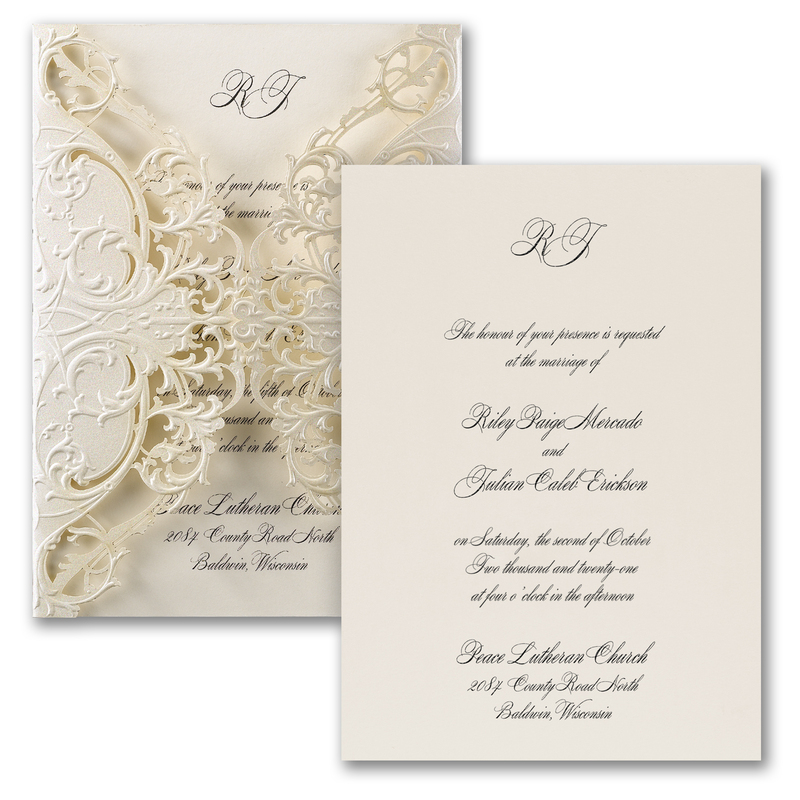 The laser-cutting process makes each piece unique. 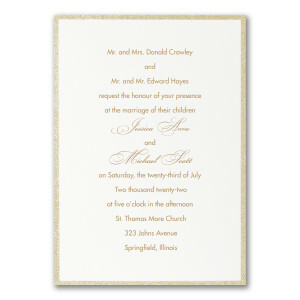 Laser-cut wrap of ecru shimmer paper surround an ecru card. 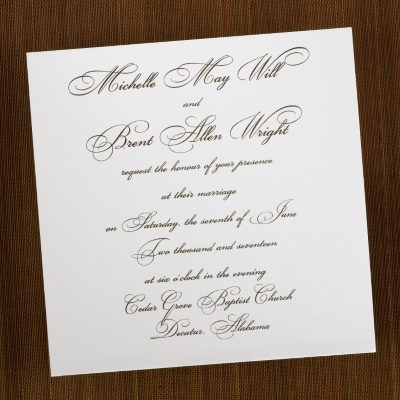 A band of embossed ecru shimmer paper and a wide satin ribbon add rich beauty to this wedding invitation. 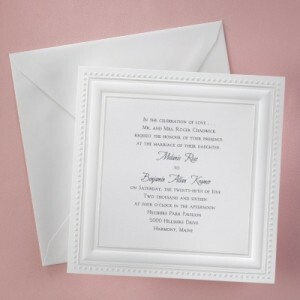 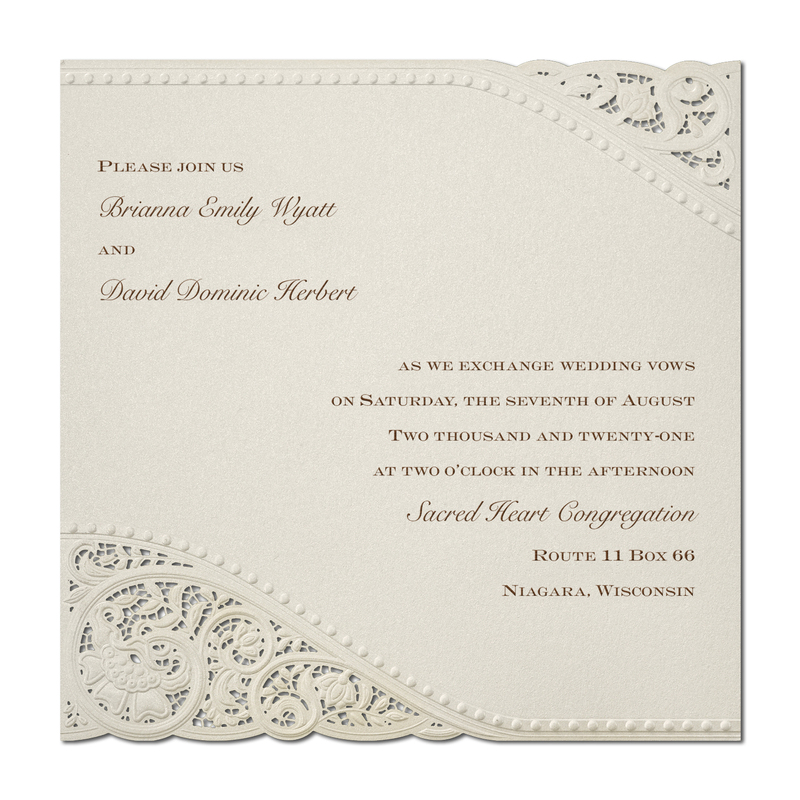 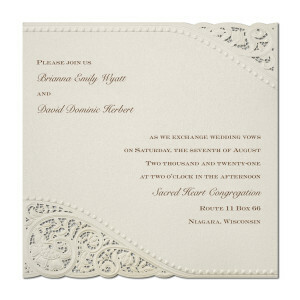 This affordably priced invitation has a pearl heart and rose-embossed border.